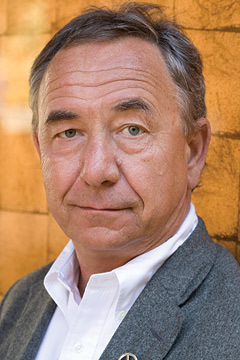 Will Durst is an American political satirist. He has performed at events featuring Bill Clinton, George H. W. Bush, and Al Gore. He also speaks at many Governors Conferences and various Mayors Conventions. He was a correspondent for The Comedy Channel during the 1992 political conventions. His humor and commentaries emphasize his view of illogical and absurd aspects of politics, leadership, and human behavior.